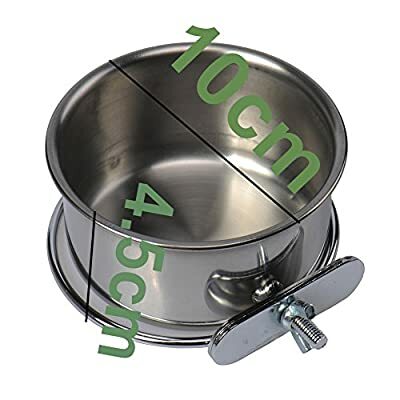 1.Made of top quality stainless steel, Safe non-toxic, strong and resistance to bite. 2.Size:S: 10.6*5.3cm (D*H) M:12.5*5.5cm (D*H) L: 14.5*6.5cm (D*H). 3.Hanging in the cages, It can be used for hold food or water. 4.Prevents your bird from accidentally tipping food/water bowl. 5.Easy to Clean, Easy to Use. Bowls Easily Removed from Holders. 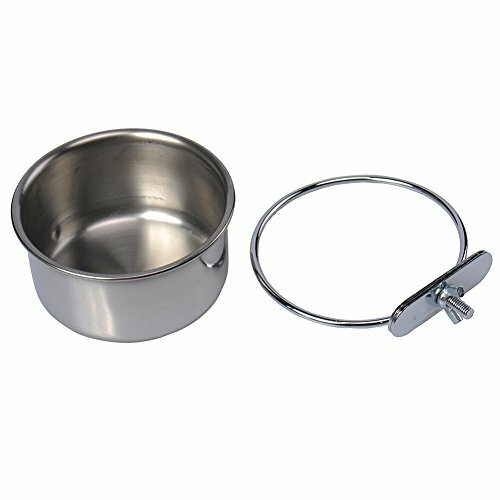 1.Made of top quality stainless steel, Safe non-toxic, strong and resistance to bite. 2.Size:S: 10.6*5.3cm (D*H) M:12.5*5.5cm (D*H) L: 14.5*6.5cm (D*H). 3.Hanging in the cages, It can be used for hold food or water. 4.Prevents your bird from accidentally tipping food/water bowl. 5.Easy to Clean, Easy to Use. 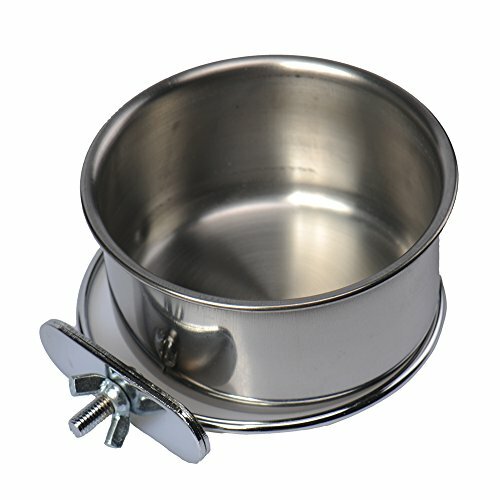 Bowls Easily Removed from Holders.